On my first pass through Bertrand Meyer’s “Agile!” book, I interpreted its contents as a well-reasoned diatribe against agilism (yes, “agile” has become so big that it warrants being called an “ism” now). Because I was eager to do so, I ignored virtually all the positive points Mr. Meyer made and fully embraced his negative points. My initial reading was a classic case of the “confirmation bias“; where one absorbs all the evidence aligning with one’s existing beliefs and jettisons any evidence to the contrary. I knew that the confirmation bias would kick in before I started reading the book – and I looked forward to scratching that ego-inflating itch. Test Driven Development (myopic, sequential test-by-test focus can lead to painting oneself into a corner). I’ve always maintained that there is much to like about the various agile approaches, but the way the agile big-wigs have been morphing the movement into a binary “do-this/don’t-do-that” religious dogma, and trashing anything not considered “agile“, is a huge turnoff to me. How about you? Nice post. The positive points listed are very reasonable and sensible (almost common sense?). I made an honest effort at TDD, it made me uncomfortable and I thought it was stupid. I much prefer to start with some design and prototyping. I also tried TDD using the book “Unit Test Frameworks” for guidance. Didn’t like it either. It works for a lot of people, but I’m not one of them. Enjoyable writeup. “Balancing Agility and Discipline” remains one of my standout resources for matching methodology against the development task at hand. Sounds like I’d enjoy “Agile!” too. Agile! 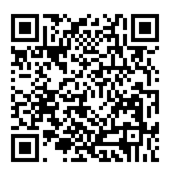 is a breath of fresh air. Meyer is a great writer. 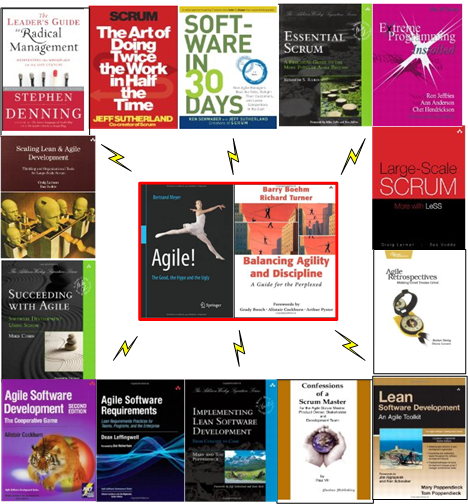 If you liked Bohm & Turner, you’ll love Agile!